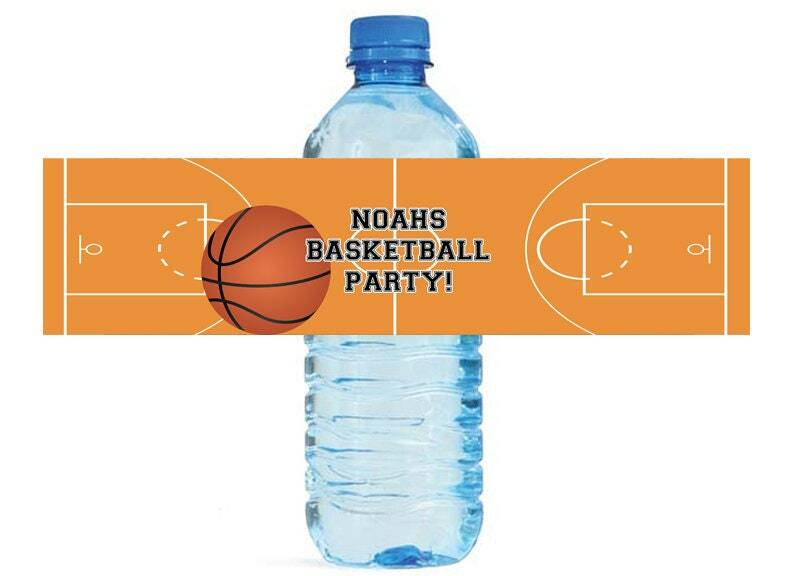 Great looking Basketball themed birthday party Water Bottle Labels. These labels are self stick, and easily stick to your water bottles. Our labels are laser printed and will not run or smear.